Every time my husband searches for a recipe online he gets frustrated by blog posts that lead off with a three thousand word story that usually has nothing (or little) to do with the actual recipe being posted. He then is forced to scroll and scroll and scroll – through text and pictures – to the very bottom of the blog post where the actual recipe resides. In deference to my husband, please see up front the super simple recipe for these super simple (and delicious!) 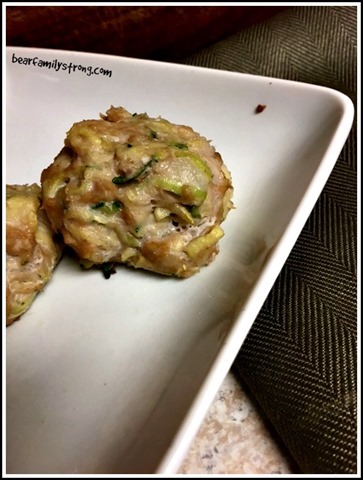 chicken zucchini bites. You’re welcome. Preheat oven to 375. Grate your zucchini and onion – I used a food processor and did both together. Once the vegetables are grated, wring out the excess moisture. I did this by dumping the veggies into a clean dishtowel and then squeezing all the extra water out. Trust me – this step is important if you want your zucchini bites to hold together! * In a bowl, combine all ingredients and mix well. Form 12-15 balls and place on a baking sheet – don’t beat yourself up too much if they look more like odd lumps, this is because of the stickiness of the dough. Bake at 375 for 12-15 minutes, flipping them halfway through. *NOTE: You don’t necessarily have to wring out the excess water from your zucchini/onion mixture, but if you don’t the meat “dough” will be super sticky and it will be much harder to form meatballs. When I first started playing around with these I did NOT wring them out and had to use muffin tins for the meatballs because I couldn’t get the mixture off my hands. That said, they still tasted delicious! There’s not much of a story to these cute little chicken zucchini bites really. Each week I like to have a few easy to grab, pre-cooked proteins on hand for work lunches or snacks, and some sort of meatball or patty usually makes an appearance. 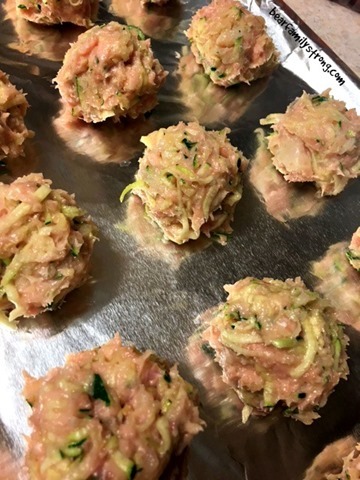 I had seem some version of chicken-zucchini meatballs on Pinterest and as it just so happened, I had ground chicken and zucchini in my fridge this week. Thus, these babies were born. Because zucchini holds a lot of water (even after wringing most of it out), these meatballs stay moist, even after a couple of days in the fridge. They were delicious straight out of the oven (served with a side salad and topped with guacamole, as it happened), but they tasted just as good – if not better – served cold. 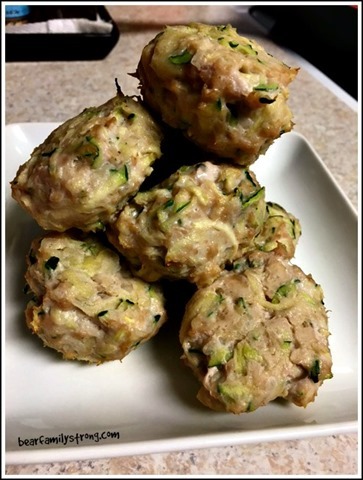 Many times I find my turkey or beef meatballs can dry out pretty quickly but these retained the moisture from the zucchini, keeping them juicy and delicious. I packed two of them as a snack for my husband the other day and he liked them so much he turned around and finished off the rest with lunch. 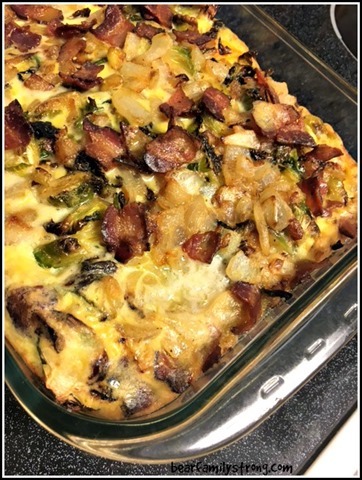 This casserole contains sweet potato, roasted brussels sprouts, and caramelized onions…and my nine year old son inhaled it. Seriously, that’s how good this casserole is. 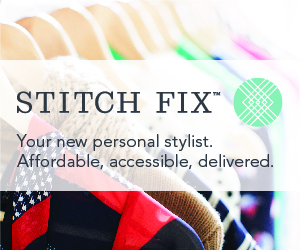 In preparing for our latest round of the Whole30, I’ve been spending some time on Pinterest looking for inspiration. I feel like I used to be a lot better at planning, creating, and cooking good meals for our family, but somehow over the past year that changed. We ended up ordering out a lot, and more often than not I end up making quick and easy foods full of quick carbs, added sugar, and unnecessary fat. Don’t get me wrong, all of the aforementioned foods taste extremely good, but judging by the extra weight I’ve been carrying around and my complete lack of energy…I knew it was time for a reset. 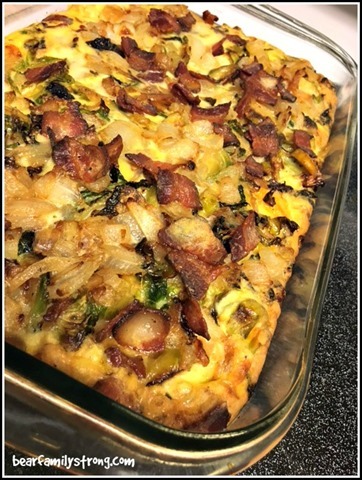 This 9×13 pan of deliciousness consists of a bottom layer of roasted sweet potato, topped with roasted brussels sprouts, caramelized onion, crispy bacon, and covered with an egg-coconut milk-nutritional yeast mix that turns this casserole into a light and fluffy eggy delight. The combination might sound weird but trust me, yum. The Paleo Running Momma comments that you could absolutely play around with the vegetables in this casserole, and I totally agree. Granted the sweet potato and brussels sprouts combination was to DIE for in my family, but I’m already imagining a version with sausage, red pepper and spinach; or crispy prosciutto, broccoli and onion…the list goes on. This casserole turned out to be a total win for the Bear Family and this recipe will definitely make an appearance during the Whole30 – for breakfast, lunch, and dinner. Check out PRM’s post for the original recipe here! 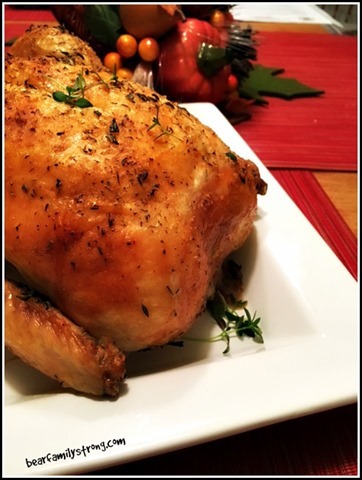 Not only is roasting a chicken pretty much the easiest thing in the world, but one chicken usually serves our family three meals at least. The week I made this bad boy, my husband and son were out of town and one four pound bird lasted me three full days for lunch and dinner. Basically I ended up eating leftover chicken over salad vegetables for lunch, and then for dinner I would heat up some of the chicken and serve it with a different vegetable each night (steamed snap peas on Monday, pan fried okra on Tuesday, and roasted green beans on Wednesday). Admittedly, if you are a person who enjoys variety in your meals and doesn’t like leftovers, this will definitely not work for you. But for me, it not only eliminated the need to plan additionally dinners, but it also saved me a ton of time in the kitchen! The other nice thing about roast chicken is that you can experiment with flavors. (See here and here). 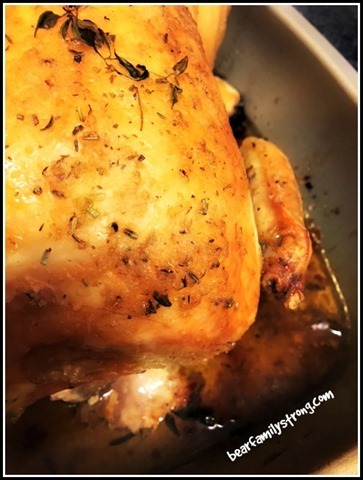 I usually throw a chicken in the crockpot which really saves time, but the chicken tends to fall apart and you don’t get the crispy brown skin that results in roasting a chicken in the oven. Just remember that if you are going to roast our chicken in the oven, it’s going to take about 90 minutes – so plan accordingly. My personal favorite flavor combination of late has been super simple lemon and thyme, with a salt crust made with an herbs de provence salt blend I purchased while in Paris this summer. To recreate this salt at home, simply mix some coarse salt with herbs de provence – it’s as easy as that! Preheat oven to 400 degrees F. Rinse and pat your bird dry. 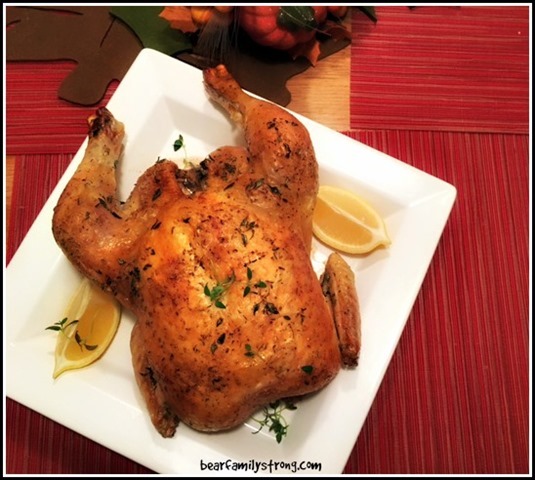 Give your bird a healthy melted butter bath, then cover liberally with the herbs de provence salt blend, making sure the chicken is evenly coated. Sprinkle a handful of chopped thyme over everything. Inside the cavity of your chicken, add two lemon halves, a handful of fresh time, and more salt if desired. 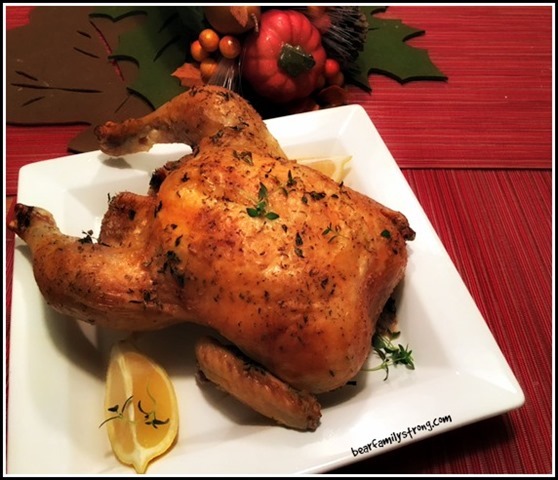 Cut the second lemon into 4-6 wedges and tuck them into the roasting pan with the chicken. Bake at 400 for about 80 minutes, then remove from oven and rest an additional 10 minutes. Chicken should reach an internal temperature of 165F.